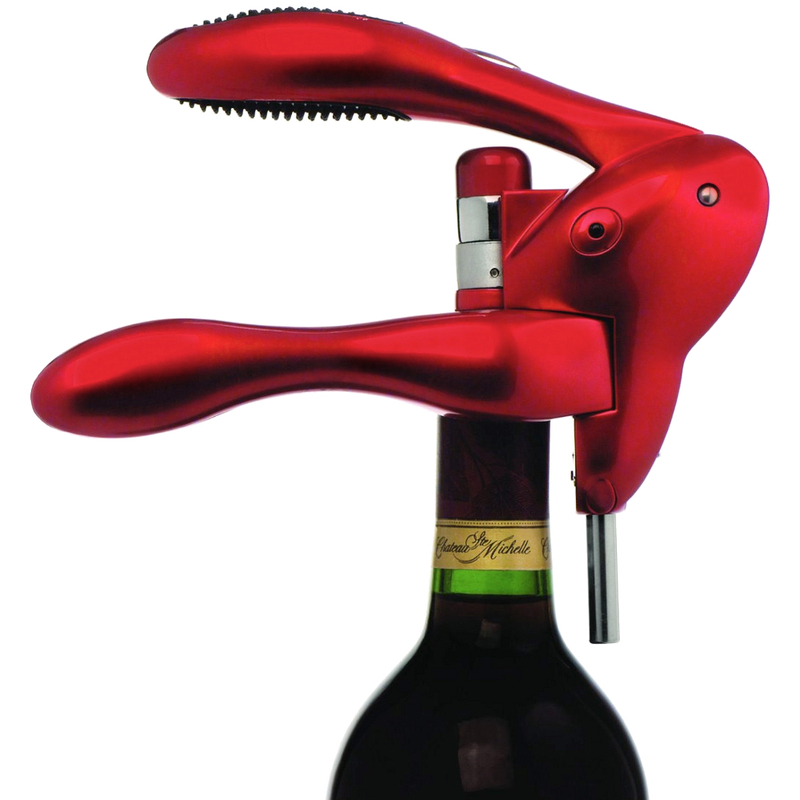 Pull a cork in three seconds with this Original Rabbit corkscrew. The ultimate cork-pulling machine, this sleek red corkscrew combines superior quality with unparalleled functionality for an award winning design. Featuring a user-friendly ergonomic shape, it opens any size bottle quickly and automatically releases the cork. All gear teeth on the Rabbit are made of hardened metal, and it was tested for 20,000 cork pulls by independent laboratory. Packaged in a handsome permanent Lucite storage case with room for the included matching foil cutter and extra spiral, it makes a great gift for any wine lover. This corkscrew is backed by a manufacturer's ten year warranty.